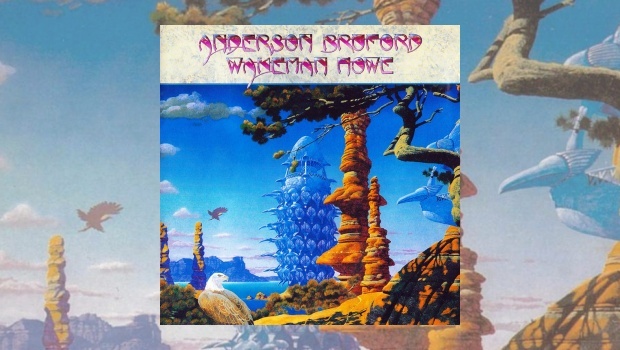 With all of the brilliant new Classic Rock albums and re-issues released in 2015, it has taken me a while to get back to reviewing the newly packaged reissue of Anderson, Bruford, Wakeman, Howe from Esoteric Recordings. Yet, after watching Steve Howe perform at The Brindley in Runcorn earlier this year, followed by the sad news of Chris Squire’s passing in June, the music and musicians of Yes have been at the forefront of my album collection. Whilst this is not traditionally a Yes album, it will likely be present in every Yes fans collection and if you don’t have it (which is highly unlikely considering how loyal Yes fans are) then now is a good time to pick this release up. The new 16 page booklet contains complete lyrics to the album tracks and includes new liner notes with quotes from each of the four band members. For those fans and collectors who may already own the album and are wondering if they should bother purchasing this edition, what will likely catch the eye is the bonus disc. 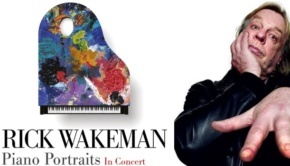 The disc includes six tracks, five of these are various edits of songs from the album, however, the remaining track and highlight is the Wakeman infused Vultures in the City which may have escaped your collection in the past. What is worth bearing in mind is that Vultures in the City was previously only available as a b-side to the Brother of Mine single release until it was later released in 2011 on a remastered limited edition copy of the album by Gonzo Multimedia (who by comparison issued a bonus disc with 10 tracks on); the track is regarded by many fans as far superior to some of the main album tracks. 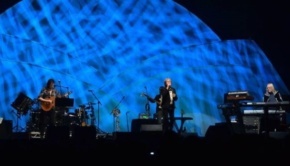 Departing from Yes following the Big Generator album, Jon Anderson, prompted and inspired by his then-wife, sought a return to (as he calls it) the “true” sound of Yes’ classic albums; Fragile and Close to the Edge. ABWH was the result. It is nowhere near as complex as some of those earlier albums, but it contains some great pieces of music – and some attempts at great pieces of music… After recruiting three additional and previous Yes musicians to the fold, Bill Bruford, Rick Wakeman and Steve Howe, they set out to record an album that captured the sound that they thought Yes had digressed from. Anderson originally wanted Chris Squire to join them in the recording, a position that was taken up by Tony Levin upon the suggestion of Bruford. 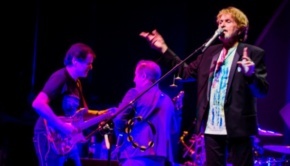 If Squire had been present on this album it may have evolved into a uniquely different beast not so dissimilar from the albums 90125 and Big Generator which wouldn’t necessarily have been a bad thing – depending on whether you are Jon Anderson or not. You would probably have ended up with an album more in tune with Order of the Universe as opposed to The Meeting and definitely nothing like Teakbois (shudder…) and the further union of these members could have entirely changed the future of Yes. Listening to this album in 2015, the album seems very light on guitar with an obvious preference towards the sound of Rick Wakeman’s keyboards; check out Fist of Fire, The Meeting and Birthright. The absence of Steve Howe during the recording of the album likely influenced this; Howe refused to travel to the studio in Montserrat with the remainder of the band, preferring to record his guitar parts in London. If he had travelled with the rest of the band, the sinister sounding keyboards on the fantastic Fist of Fire may have been joined by Howe’s haunting stabs of guitar as evident on the alternate version of Fist of Fire on the In A Word: Yes box set (from Elektra Entertainment and Rhino Entertainment Company) that will likely be favoured by Steve Howe enthusiasts. It is much more guitar-laden than the album offering and Howe is credited with “Archival Research and Mixing” on the box set which seems to indicate that this is his preferred version of the track. Perhaps this could and should have been included on the bonus disc here… oh well, it’s a good excuse to purchase the brilliant box set too! Overall, the sound of Yes remains ever present and instantly recognisable on the album (let’s just call it a Yes album), you could even remove the fan-servicing lyrics in the second section of the aptly titled Quartet that reference The Gates of Delirium, South Side of the Sky and Long Distance Runaround and it would easily remain, in my opinion, the most Yes-like track on the album. Steve Howe’s opening guitar is reminiscent of Turn of the Century from Going for the One which is also a brilliant piece of music. Brother of Mine is by far the best track on the album (strongly contested by The Meeting), what makes this work is that each band member compliments the others’ playing, it is one of those “ten out of ten” tracks that you find every now and then. Howe has some really nice guitar parts that are sorely missing from other tracks, but the thing that makes this really work is evidently that chorus! Yes, as catchy as it is and as much as you will be singing it forever after playing it, it is Howe’s guitar and Anderson’s clear vocals and dreamy lyrics throughout that really do it for me; I am not sure his voice has ever sounded better. 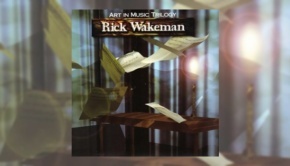 Wakeman has some brilliantly delicate and strong moments here as he does through most of the early tracks; Themes is another example of this, it is an incredible and very strong opener that evolves from pleasant piano beginnings into a largely triumphant prog finish. From the best to the worst – Teakbois is without a doubt the worst track on the album. You would assume this combination of prog and world music to be inspired by the location of the album’s recording, but it might as well be called “Yes singing on holiday” as images of Jon Anderson wearing a wreath of colourful flowers whilst tapping a tambourine and shaking his hips spring into mind. So, pick up your remote and press skip to track 8… not every album can be perfect. Moving swiftly on… as mentioned above, Order of the Universe would not be so out of place on an 80’s Yes album and its inclusion is both bizarre and ironic since Jon Anderson’s intention after leaving Yes was to move away from this type of melodic and synthetic music and back to the 70’s classic Yes sound. Saying that, this is a wonderful track with a big sound that would fit perfectly into a live setting, the only thing I would have loved to hear would be this track recorded without synthetic drums, then again, maybe that is partially why this track works. It is a shame that despite considerable commercial success that this was the only album this union made. However, I still consider it a Yes album, even without those big chunky bass riffs from the much beloved Chris Squire, and as this comes complete with magnificent Roger Dean artwork it should be considered a must own by any fan of Yes or progressive rock music. Buy it, play it, enjoy it… skip Teakbois unless you’re on a Caribbean cruise, maybe to the edge.